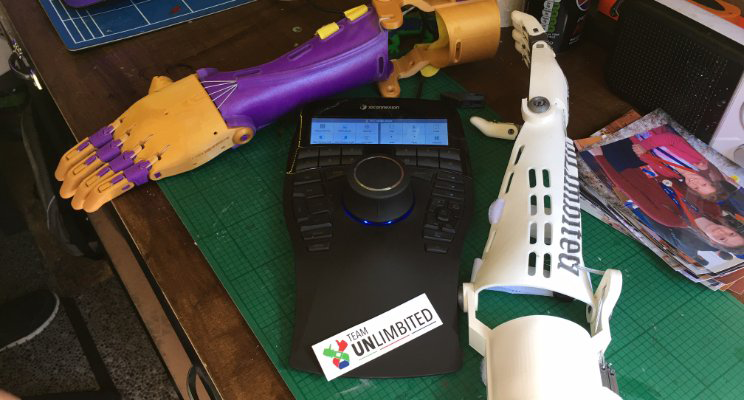 I would like to give an enormous thank you to everyone at 3DCONNEXION especially Simon Loftus who after seeing the work being done by Team UnLimbited wanted to offer their support; they contacted me and asked if they could come and visit and see what we do first hand (so to speak!). When they arrived they had a surprise. To help me with the next iterations of designs for our arms they presented me with a SpaceMouse Enterprise edition. 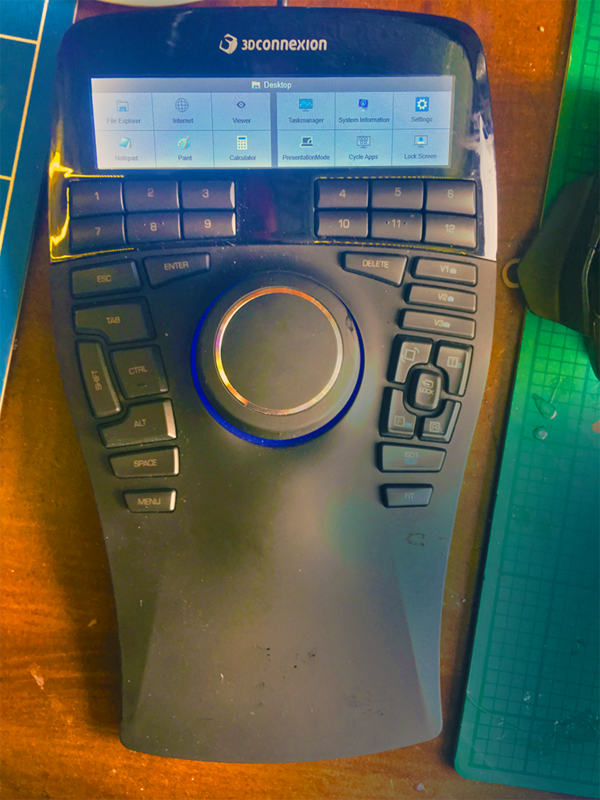 As a Computer Aided Designer, I had always dreamed of owning a spacemouse. First off I want to say how effortless it makes interacting with your 3d model, as if actually holding it in your hand. To be able to turn it any direction pull it push it to lift or drop is an incredibly intuitive experience. As a disabled user with one hand, the customisable buttons are a godsend, reducing the need for my good hand to travel between mouse/keyboard. 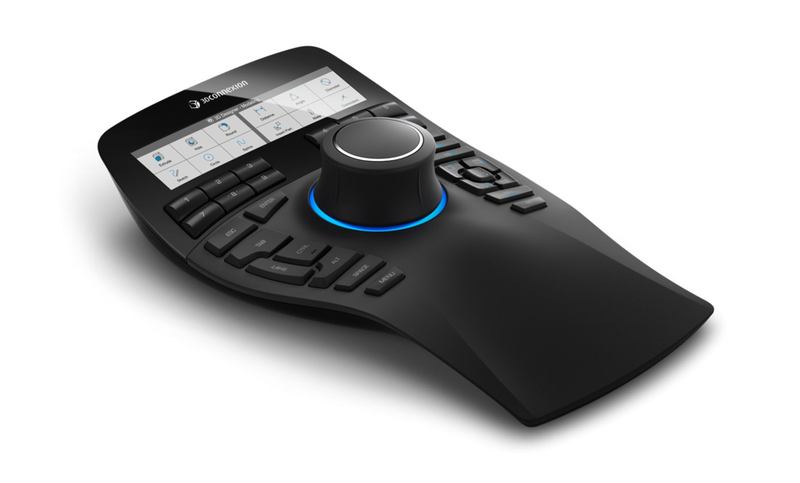 As someone who has suffered from RSI in the past, the spacemouse is incredibly comfortable and using it for prolonged periods caused me no aches or pain. I honestly cannot recommend the spacemouse enterprise enough. It is currently being used to evolve our designs as we push the boundaries of 3d printed hands and arms. the generosity of 3DCONNEXION is amazing and it is truly great to have the support of such a wonderful company. Steve nominated for Shed of the Year 2017! !